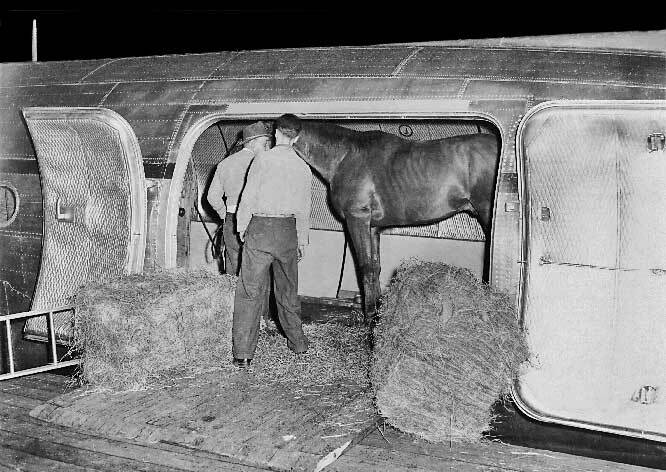 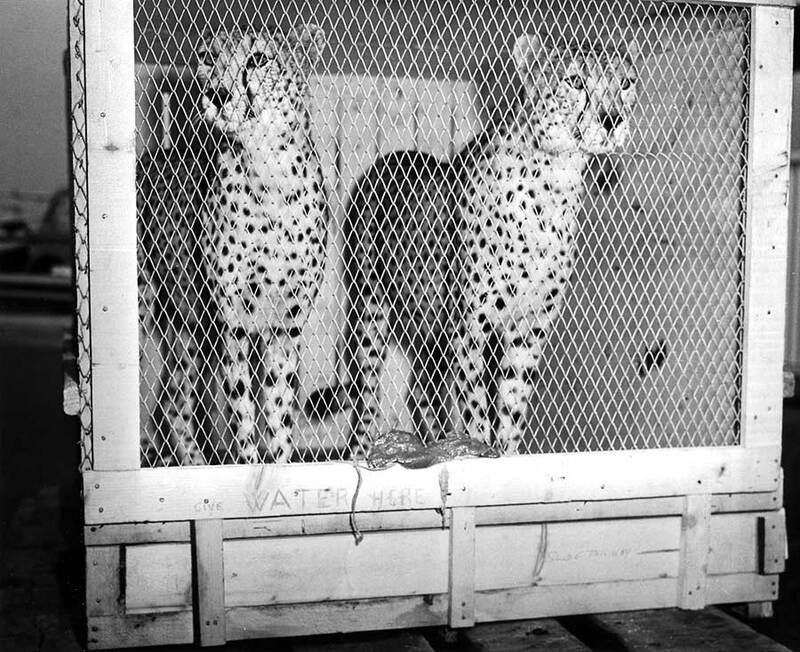 Whirling Rushton, a French filly, is being led down the ramp backwards after arriving on the first flight from Europe to land at Idlewild, July 9th, 1948. 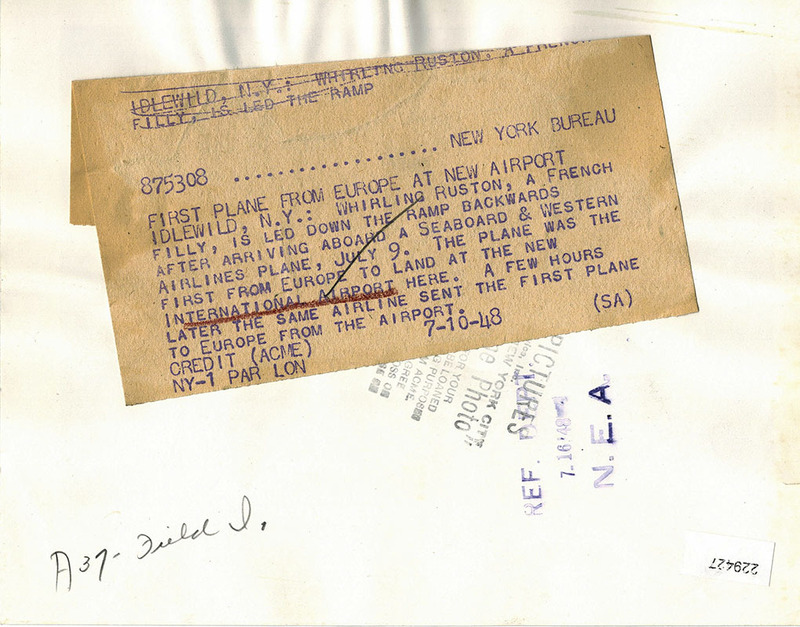 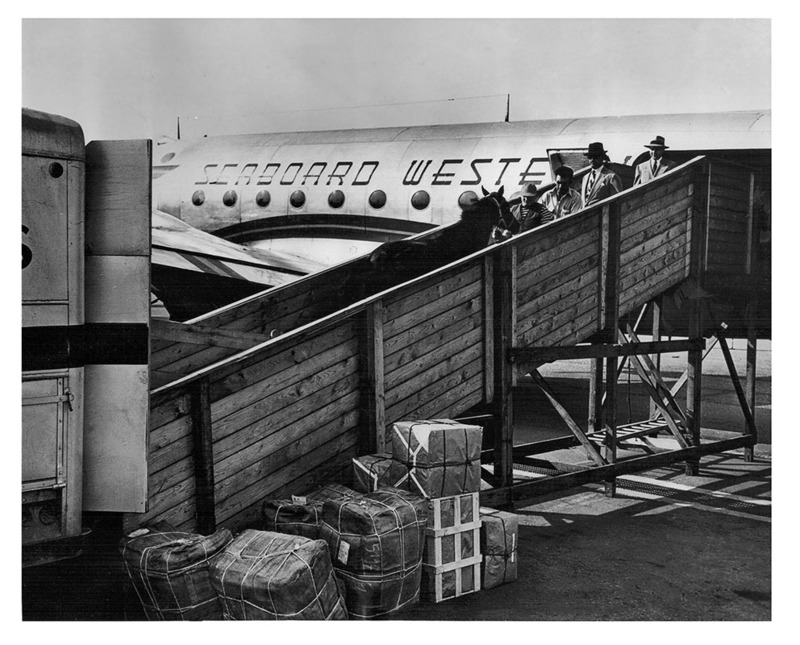 A few hours later, the same aircraft departed on the first flight from Idlewld to Europe. 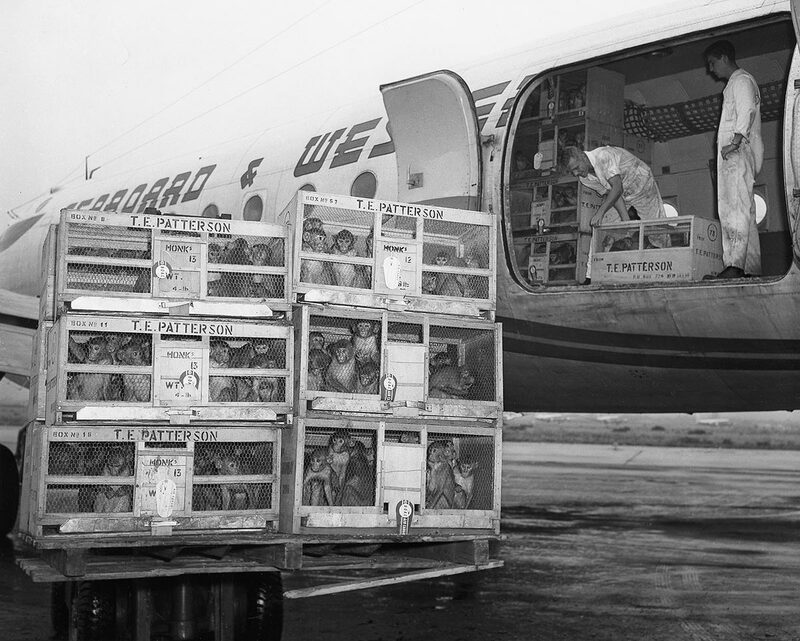 Rhesus monkeys imported from India for research that led to the Salk polio vaccine. 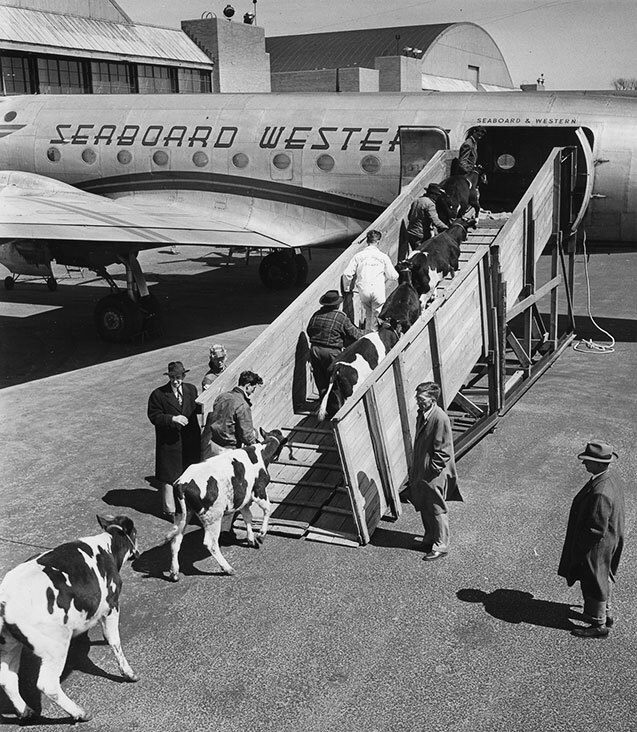 Shown here being loaded onto a DC‑4. 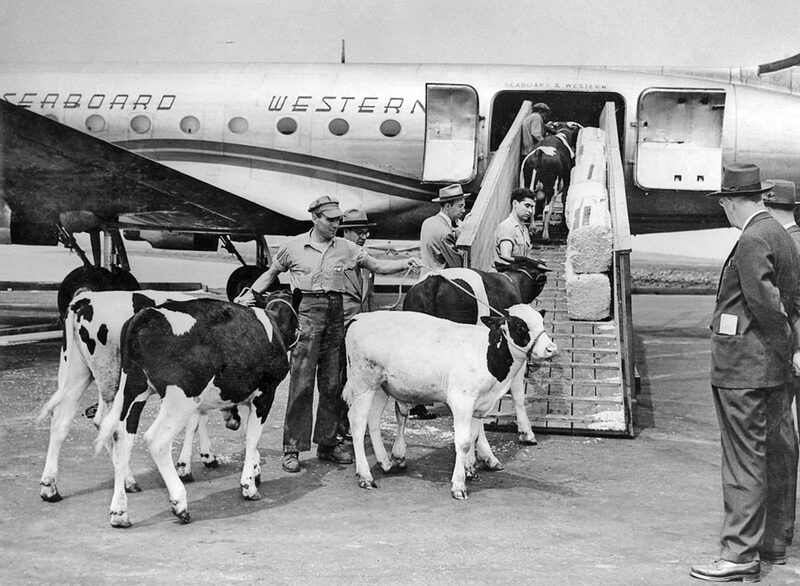 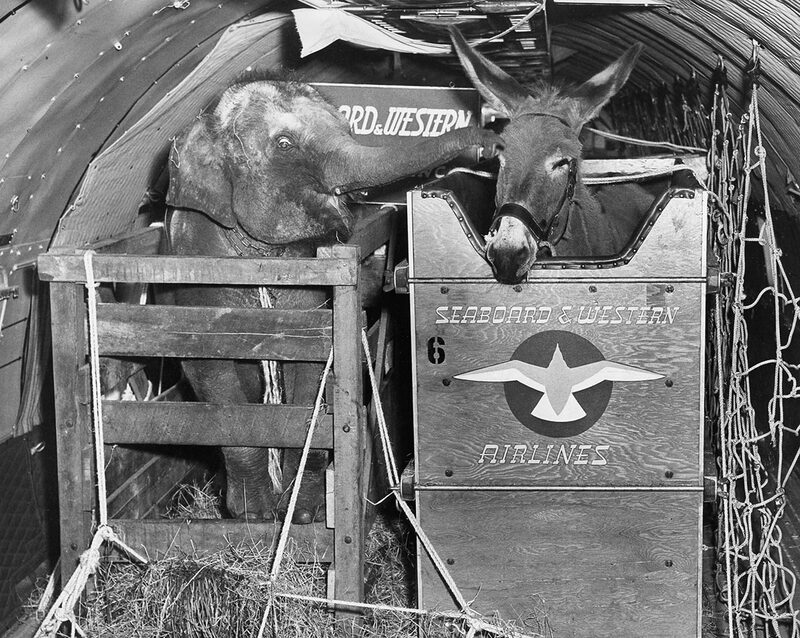 In 1956, Seaboard flew this Andalusian donkey and baby elephant on a DC‑4 from London to New York. 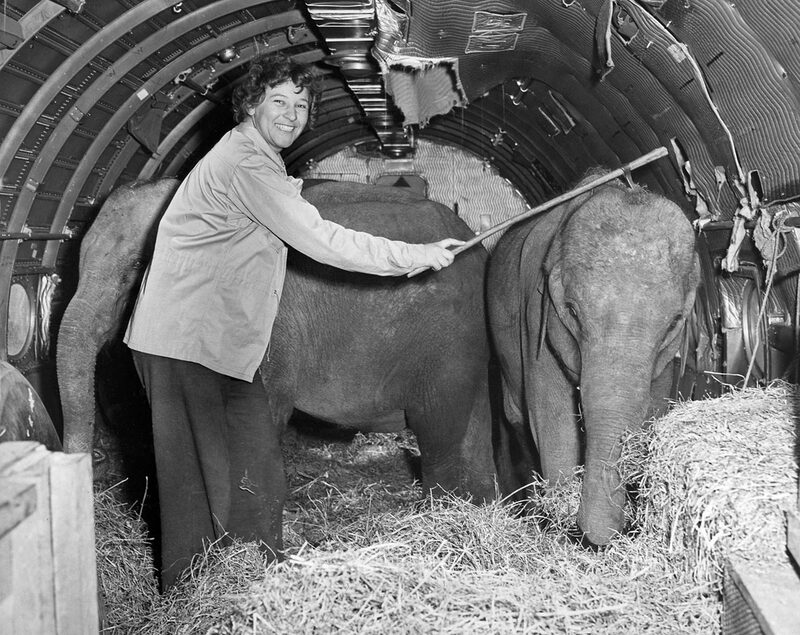 The donkey was a gift from the Spanish government to David Eisenhower, the president's grandson. 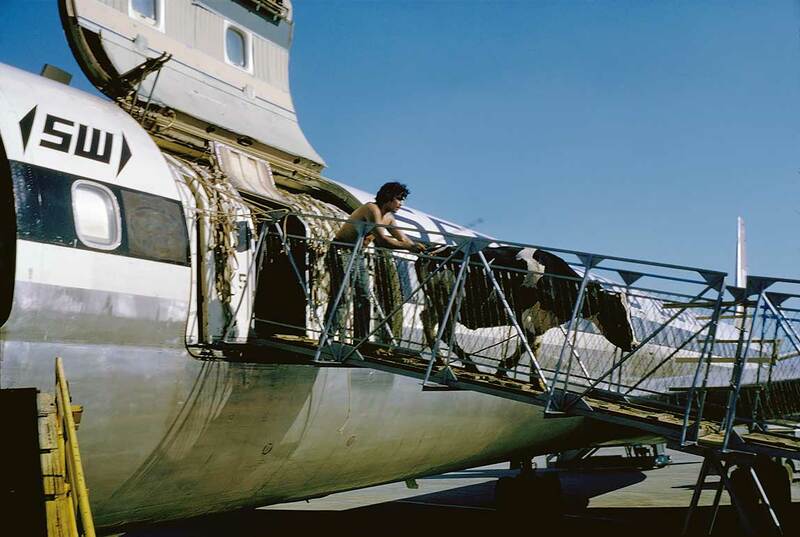 The photo appeared in over 500 newspapers and magazines.